A copy of our application can be found here. Creation of a path from the museum up the hill to the Sloat Monument, which has been inaccessible to automobiles since 2001. 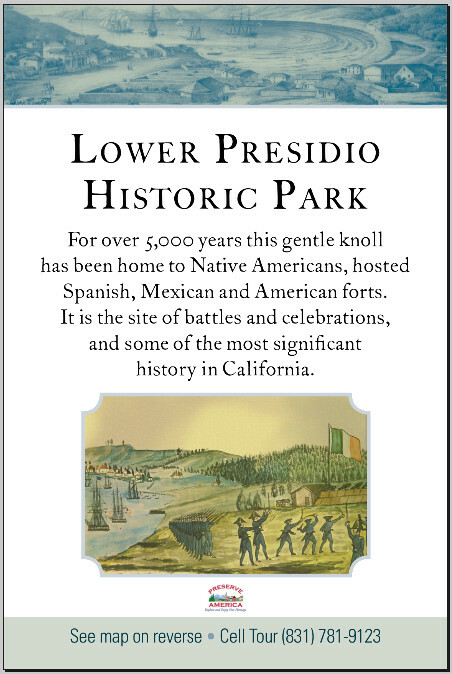 Priority #1, $9,000 is installation of way finding and entrance signage that identifies the Lower Presidio Historic Park. Priority #2, $100,000 is removal of the existing chain link fencing above Lighthouse Avenue, replacing the fencing with historic wood fencing. New fencing to use existing fence post holes. Priority #3, $206,000 is construction of a colored concrete walking path and benches at the Serra Monument and to overlook the bay. Included is new accessible parking space and curb ramp as required for ADA compliance. 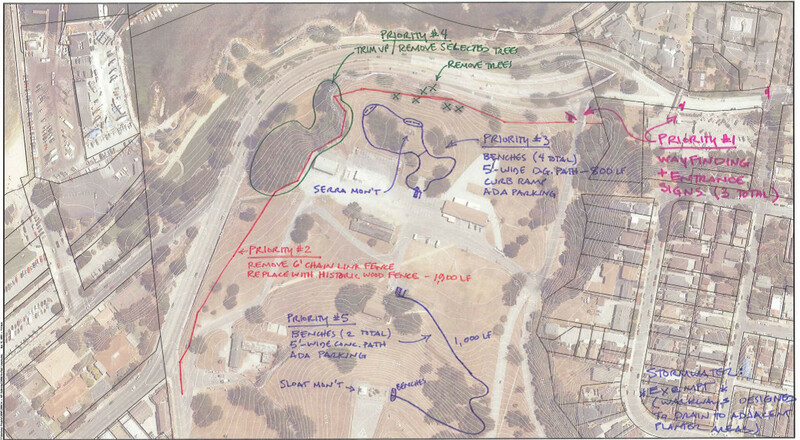 Priority #4, $98,000 is trimming and removal of cypress trees above Lighthouse Avenue, to improve the view from the Serra Monument and discourage camping in the cypress grove. 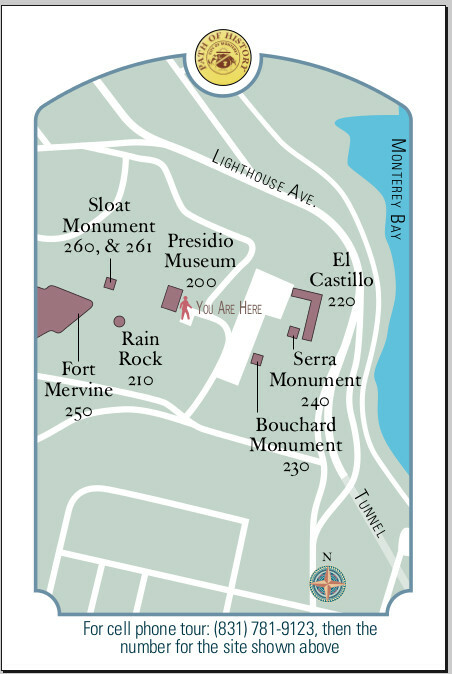 Priority #5, $245,000 is construction of a colored concrete walking path to and benches at the Sloat Monument. Included is new accessible parking space and curb ramp as required for ADA compliance. This would be a very large chunk of the $2.5 million available to NIP for funding this year. Consequently the Board will have to consider prioritizing the project to accommodate the prospect that all of our request will not be funded this year by the NIP, which has many other worthy projects to consider for allocation. Any shortfall, will then become the subject of grant requests to other historic sources and philanthropies throughout the region and even nationally.